When you are starting a new project, you might not want to use the templates that Microsoft provided for you. There are times when you want to start off the project with a clean slate. 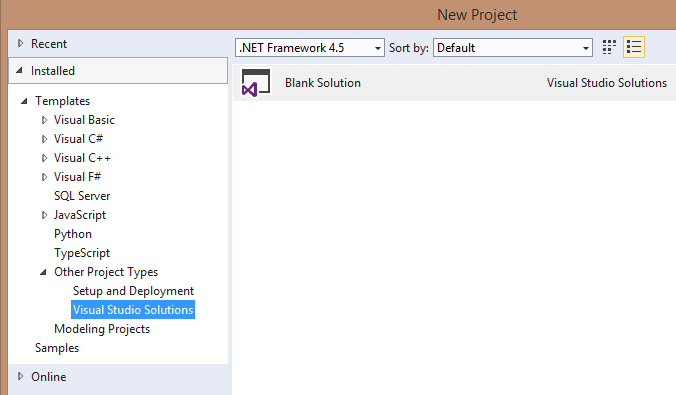 You can create a blank solution in Visual Studio. However, the option to create a blank solution is kind of hidden. 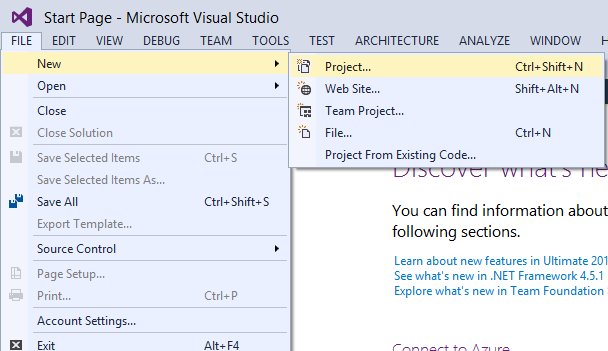 Open Visual Studio 2013, and then click on "File", then select "New", then "Project"
2. Expand the "Other Project Types" node on the left hand navigation, then select "Visual Studio Solutions". Then select the "Blank Solution" template on the right hand side. 3. Give your solution a name and then click "OK"
4. Your blank solution will be displayed in "Solution Explorer"